Doñana is a mythical natural area formed by a fantastic collection of habitats: the sea, the beach and the dunes, the scrubland and the woodland and the marshland. 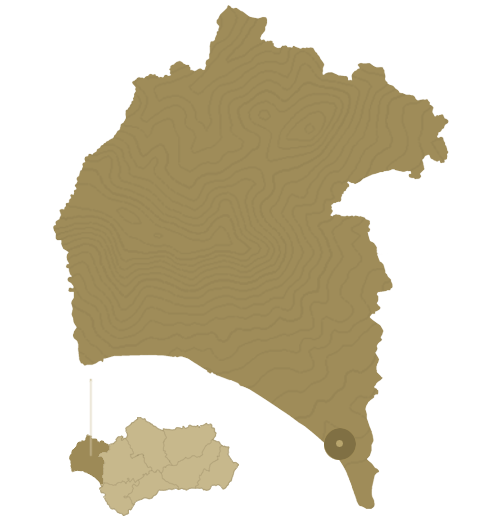 The Lake Jaral is isolated in a pinewood and on the backside of an old giant dune. From there we climb over the fix dune of Asperillo walking on the sand until we reach to the sea edge by an impressive sandy cliff which is an Andalusian Natural Monument. On the way back, taking down the dune, we can see from above a green sea formed by the top of the umbrella pines at the plain of Abalario. Contact us to get more information about this cracking walk. 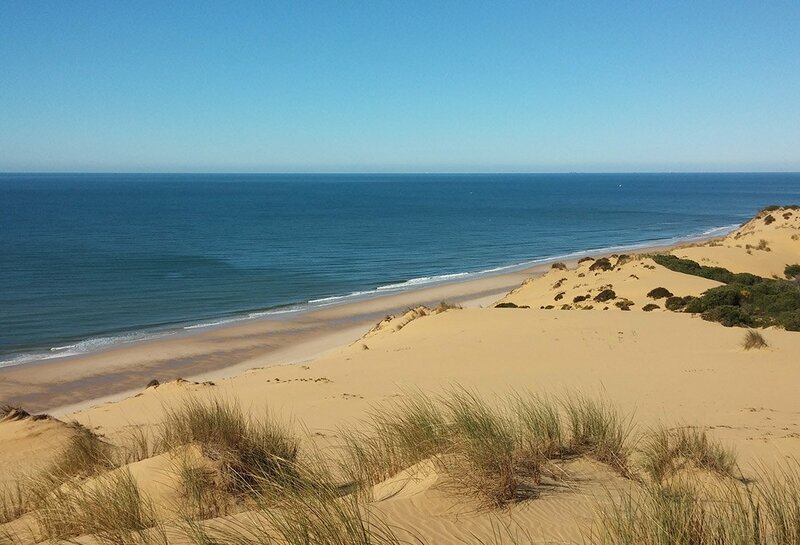 Between the tourist towns of Mazagon and Matalascañas there is a 30-kilometre virginal beach with an impressive 60-metre sandy cliff, El Asperillo, in the Natural Park area of Doñana. This circular walk starts from the main road and goes towards the sea up and down the dune. 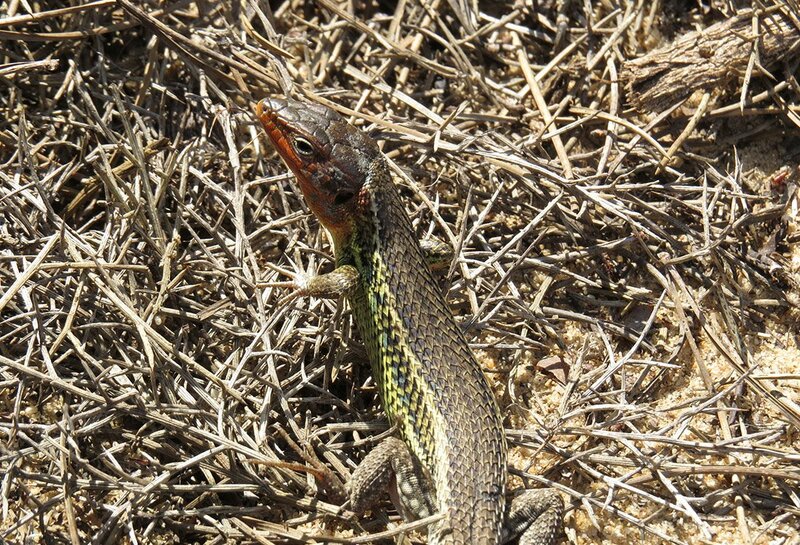 The terrain is soft sand so the duration of the walk depends on the shape of the participants, the temperature and the interest in the diverse flora and fauna. 6.5 Km / 4.1 miles. This walk takes us around 3 hours in a very relaxed pace enjoying the rich flora and fauna. 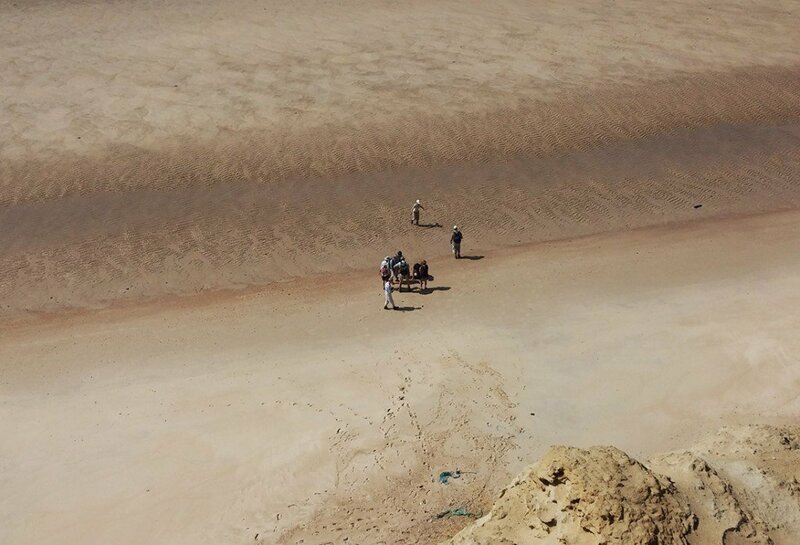 Mind that the heat can make it harder to walk on the soft sand. 90 m / 295 feet. 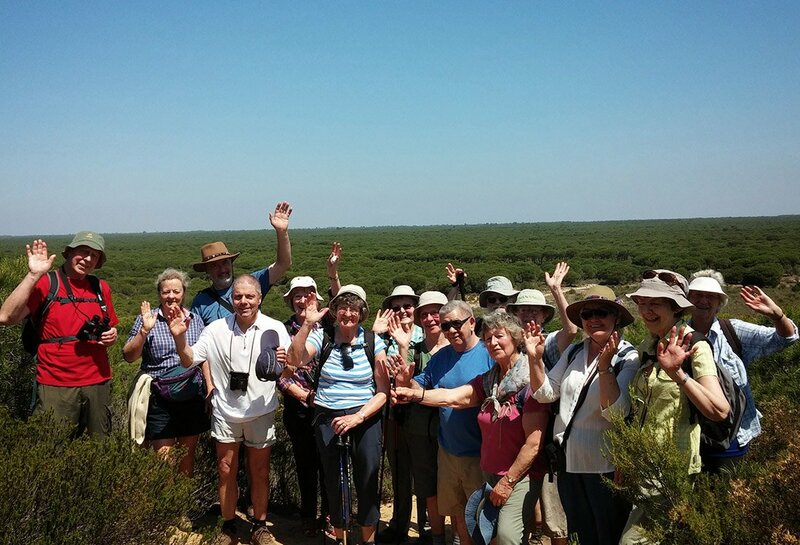 A full day tour can be arranged by visiting other areas of interest in Doñana. We recommend a ratio of 10 people a guide although we can take up to 15 people per guide. All year round as far as the temperature is not over 30 degrees as the heat makes the soft sand hard to walk on. On the walking tours, we usually meet at the start point of the walk. Nevertheless, pickup can be arranged from any accommodation or any meeting point within the provinces of Huelva and Seville by a fuel fee.